We love it when clients ask us questions. Q: Are you guys insured? A: Of course we are and we are more than happy to provide certificates upon request. We carry $2, 000,000 in general liability insurance and Workers comp for every employee. Our general liability insurance covers any damage that could occur to property or bystanders. Our workers comp covers any death disease or injury to our employees. A: That is a tricky one. Like everything else, price is relative to and a reflection of the cost to the company. Each tree is unique and requires a unique approach. It is very hard to estimate the cost of a tree without seeing it and getting an idea of what is involved in the removal. While it is difficult to give an exact estimate, there are some species of trees that can usually be guesstimated and a rough price given. For example, most Bradford pear trees reach the same size and are most often suffer the same fate. If no special circumstances apply ( i.e. the tree growing over cables, lines or a house and the tree is of an average size the price for removal and stump grinding will average $300-$500. River birch trees and trees of the same size will usually run around the same. Does that mean you will pay 5 times the amount for 5 trees? No, here is usually a mobilization fee included in the first tree. Therefore we are able to offer discounts on multiple trees. The more trees you get removed the bigger the per tree discount will be. Please call us to schedule a free estimate and an exact price. Q: What is an Arborist? A: By definition an arborist is an individual who specializes in cultivating and caring for trees, including tree pruning, tree removal, tree fertilization and the diagnosis, treatment and prevention of diseases and pests. Certification is usually obtained through organizations such as the International Society of Arboriculture. If you ask most people what an arborist is, they will tell you something along those lines. But it is more than that to us. It is a way of life. Honestly, It is hard to put in to words what the word arborist means to us. It is kind of like being a super hero. On a day to day basis we will be out saving trees one day and helping storm victims get trees off of their homes on the next. Everyday lived as an arborist is a great day. Q: What Happens to the logs and wood chips from my tree? Q: What Certifications and accreditations do you have? Isa Certified Arborists– in order to be an arborist you have to have a minimum of 3 years full time work experience in the field of arboriculture or a 2 year degree in a related field. You must demonstrate a knowledge and understanding of the art and science of tree care, Soil management, Urban forestry, fertilization, tree risk management, tree biology and safe work practices in arboriculture. You must sit for a lengthy, comprehensive exam and abide by a code of ethics set forth by the ISA. 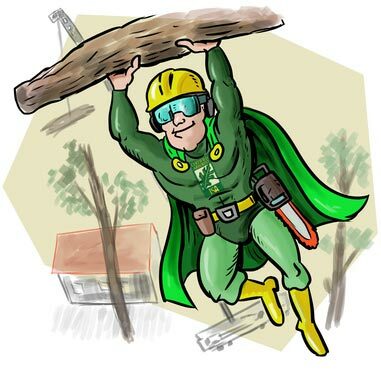 After obtaining the certification an arborist must maintain good standings and recertify every three years. ISA certified Utility specialists– A utility specialist shares similar requirements to that of an ISA certified arborist. The main difference the area of expertise. Utility specialists are versed in standards and common practices of arboriculture along utility easements. CTSP– This is one of the more difficult certifications to obtain and for good reason. This certification is the premier safety certification in our industry. It is no secret that tree work is among the top three occupations for employee fatalities per capita. That is why it is so important to make safety a top priority. 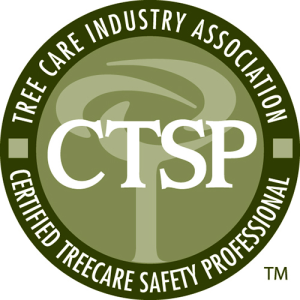 The CTSP requires an individual to have at minimum three years’ of technical field experience in tree care with at least one year of assumed responsibility for safety (i.e., crew leader, trainer, safety committee member, emergency responder, certified CPR/first aid provider, etc.). After becoming eligible to test, one will attend a two day safety seminar that focuses on real world situations and is full of critical thinking exercises. You must pass a comprehensive exam and become certified by The Tree Care Industry Association (TCIA).After becoming certified, A CTSP must maintain good standings and receive continuing Education units to be eligible for recertification every three years. 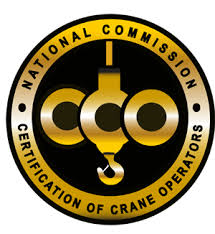 Certified Crane Operator- A candidate must have extensive knowledge and experience with the operations of hydraulic cranes prior to applying for a certification. In order to become certified an operator has to pass a comprehensive exam and skills test. We put a strong emphasize on the word “skill”. You have to be a really good operator to become certified. 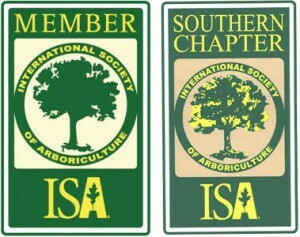 We’re a member of the ISA and the Southern Chapter of the ISA – The International Society of Arboriculture (ISA) has served the tree care industry for 90 years as a scientific and educational organization. ISA was founded in 1924. They are committed to the development of our industry and the betterment of arboriculture everywhere. Not only are we a member of the Raleigh Chamber of Commerce, we are on the board of directors. Q: Will my driveway be damaged by your equipment? A: The most transparent and up front answer we can give is. It is possible but not probable. What is the probability that it will happen? Statistically speaking, our crane cracks less than 2% of driveways. In 2014 we pulled onto approximately 475 driveways with our crane and had only five reported cases of damage. Our bucket, dump and chipper trucks crack less than 1/10 of 1% of the driveways that they drive on to. In 2014 we had only 1 reported crack in over 1300 jobs with our bucket, dump and chipper trucks. The damage is usually minor such as one or two small hairline cracks that are barely noticeable. With all of that being said, we can never tell which one is going to be a part of that small percentage. We are not responsible for repairing any cracks in driveways from the weight of our equipment. Q: Will my grass be damaged? A: We take every practical precaution to ensure that your yard is undamaged during the project. It is our goal to leave your property better than we found it. Our specialty all wheel bobcats and log loaders are equipped with low impact turf tires to assist in the minimization of turf disturbance. Even with precautions in place and specialty equipment, things happen. Some degree of turf damage should be expected. The larger the project, the greater the chances of disturbance. If you are having twenty or thirty pine trees removed from your backyard you should anticipate a significant amount of turf damage. If you are only having one or two medium sized trees removed then you might not have any damage. Then again, there might be a couple small areas. It all depends on the project. The only exception to the rule is when crane use comes into play. Removing trees with a crane is a no impact method and you can expect very little damage if any at all. We are not responsible for repairing damaged turf. Q: What forms of payment due you accept? A: We accept Checks, cash, money orders and all major credit cards. There is a 2% processing fee on credit card transactions. Payment is due in full upon the completion of the project. We do not require deposits or any money up front. Q: Do your tree climbers wear spikes when pruning trees? A: HECK no! That is an outdated process that is still used by unprofessional tree services that have no clue how to truly care for a tree. The damage that occurs to the vascular system of the tree is unrepairable and could lead to the trees death. Q: What are some major projects that you have completed? A: We have undertaken numerous large scale projects over the years. Some for municipal clients like The City of Raleigh and some for insurance companies after natural disasters. We have worked at every major university in North Carolina and a few community colleges. Most local golf courses call us when they need help with their trees. One of our Crowning achievements is the City of Raleigh historic cemetery tree removal post 2011 tornado project- In 2011 tornados tore through three historic cemeteries in downtown Raleigh. They ripped centuries old trees from the ground. 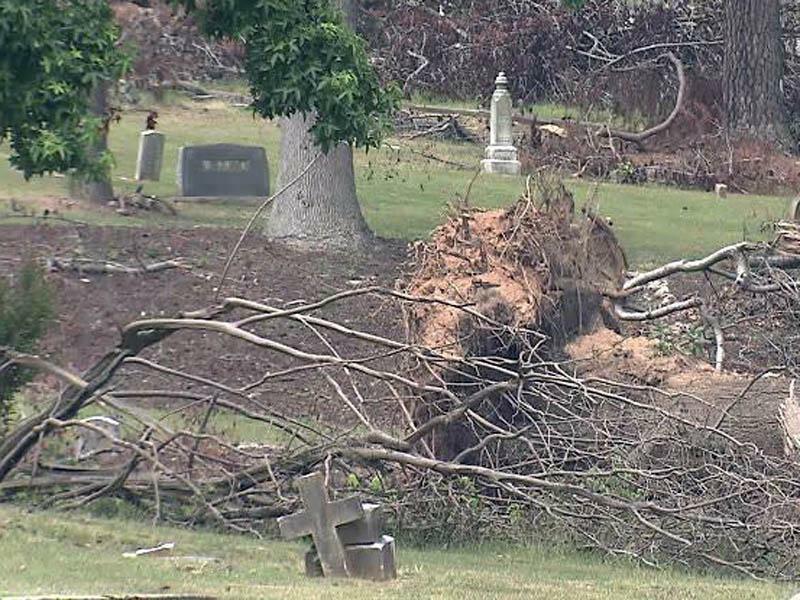 These trees fell across historic grave sites and damaged headstones and markers that were hundreds of years old. Hundreds of trees were downed throughout the cemeteries. Some of these trees were located on, over and around undamaged headstones. Everyone knew that true professionals were required to complete this project. Everyone who intended to bid had to attend a pre bid meeting. Approximately 40 companies attended the meeting. Only three of the forty companies were qualified to bid and out of those three only one was a local company. That local company was us. The other two companies were huge corporations. We beat the closest estimate by over $500,000. That is not a typo. Yes, five hundred thousand dollars. Both of the larger companies estimated the project would take them over three months. We bid the project for one month and completed it in three weeks. It was one of the largest tree projects in the city of Raleigh’s history. Here are a few links to news stories related to the project.